Home » Scooters » Electric Scooter » Can an adult ride electric scooters? Only a few years ago, the term“electric scooter” was a term used in describing a kids’ toy. Times have since then changed and, today, the electric scooter has become a popular and legit form of urban commuting for both kids and adults. The world is moving fast into an era of automation and luckily personal transportation is not being left behind. Originally, they may have been designed with young riders in mind but today most electric scooters are being created with the specific purpose of aiding adults in their commute. This has lead to more grownups emerging to motorized mobility means such as electric scooters. Having said that, why should an adult use an electric scooter? Traveling by electric scooter is favored by many adults because it has fewer terrain restrictions. You can use the scooter anywhere you like and at any time. Where you are currently living doesn’t matter, for the electric scooter is fit for both urban and rural use, for short trips and even relatively long ones. If you purchase a quality electric scooter suitable for your needs, you will not even have to be bothered by bad terrain. They are not only convenient, allowing you to go where your heart desires but they are also excellent time savers. They will take you places a car cannot go. For example straight into your office’s entrance. Then all that is needed is a few seconds to fold it down, pick it up, and place it under your desk. One attribute that makes electric scooters designed for adults unique from other types of battery-powered mobile units is the available range of style and performance. If you so wish, you can get an electrically boosted old-school style scooter or one that resembles the traditional gas-powered scooter. If you want something fancier, you can also get an electric ride designed by some hip startup, or get the maker to customize one to meet your specific age-related needs. As for power sources, electric motor and battery charging technology are advancing and becoming more efficient by the day making these scooters run for longer. This is more appealing for the busy adult who doesn’t have much time on his or her hands. People living in big cities face daily frustrations associated with traffic jams that leave them stuck in their vehicles on the road for hours. The city public transportation systems in most urban areas are not much better either. Under such circumstances, the electric scooter not only provides a faster alternative but also one that is healthier. You can ride the 2-wheeler to meetings, work, evening classes, and for recreational purposes. Many times you will find yourself getting to your destination faster using a scooter than using any other public transportation, or even your own car. This heavily depends on what type of scooter you own and where you live, but for crowded cities like NYC, I can assure you that you’ll shorten your time on commutes by a minimum of 30%. The added benefit is that you are also getting some fresh air and you tend to look around more while riding, seeing things that you wouldn’t have seen staring at your phone on public transportation. Anyone who needs a faster and more convenient means of transportation will find the electric scooter cost-effective. Compared to a car, this is certainly a pocket-friendly transport making it an excellent choice for a young adult who might not otherwise be able to afford a ride of their own. Of course, the price will vary depending on the make, model, brand, and features; but it cannot be compared to buying a car. On top of that electric scooters are around 96% cheaper per mile compared to a car, taken both maintenance and gasoline versus electricity into the calculation. The fun doesn’t have to end just because you’re getting older. Riding an electric scooter is incredibly fun. So many grownups are now choosing the electric scooter for commuting to their workplace or just for the sake of having fun on the street or at the park. Have you never sat down and wished you had another chance of doing something you did as a teenager? The electric scooter is your chance to do exactly that. These electric-powered 2-wheelers will let the adrenaline flow within you once again. There is no shame in hurtling down the street on two wheels despite your lanky 6 ft. height. The truth is that people will actually think you’re a pretty cool dude. As more adults take to the road on their 2-wheelers, this obviously raises some issues surrounding their personal health and safety as well as for those of pedestrians. It’s, therefore, important to check with your local motor vehicle or road authority to ensure that as an adult you are fully conversant with your responsibilities as well as rights as an electric scooter owner or rider. 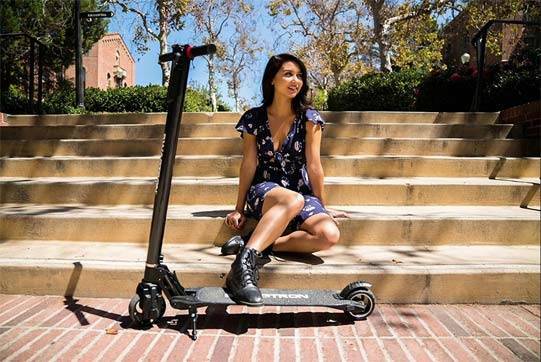 Make sure you have a good look at the top electric scooter models available for adults before deciding, perhaps try a dockless scooter to see if they are a good fit for you. You can read more about finding the right model for you here. Remember that these tend to have been used a lot and they are not the best performing scooters even if taken straight out of the box. 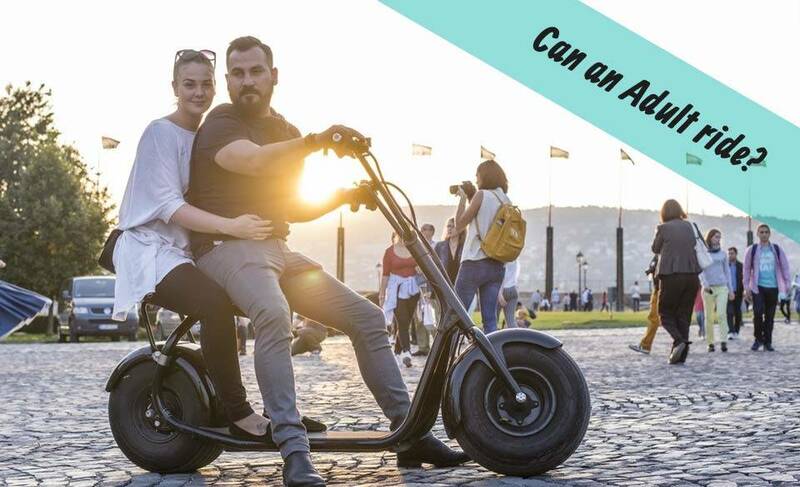 Riding a scooter may not feel the same as when cruising on the highway or freeway in your car, but it certainly comes with its advantages for an adult. 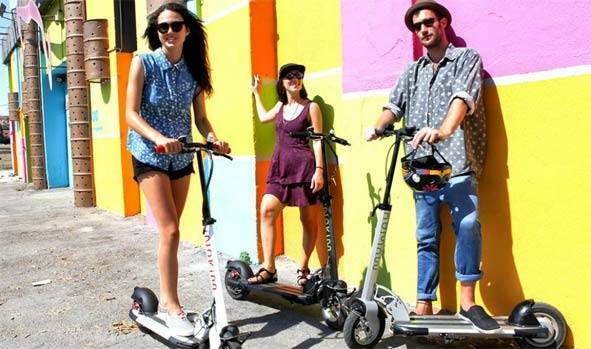 It’s not only socially conspicuous, but you can be sure that the electric scooter will become even more common in our everyday lives. Today’s electric scooters have the latest gadgets and smart accessories designed to provide comfort and a superior riding experience. Enough power and quality parts to let their adult riders travel at a speed of up to 50 mph and some for a distance of around 40 miles per battery charge. So yes, the electric scooter is here to stay and are certainly a great alternative for adults, but also as a great alternative to the car: convenient, cost-effective, adaptable, cleaner, healthier, and lots of fun.